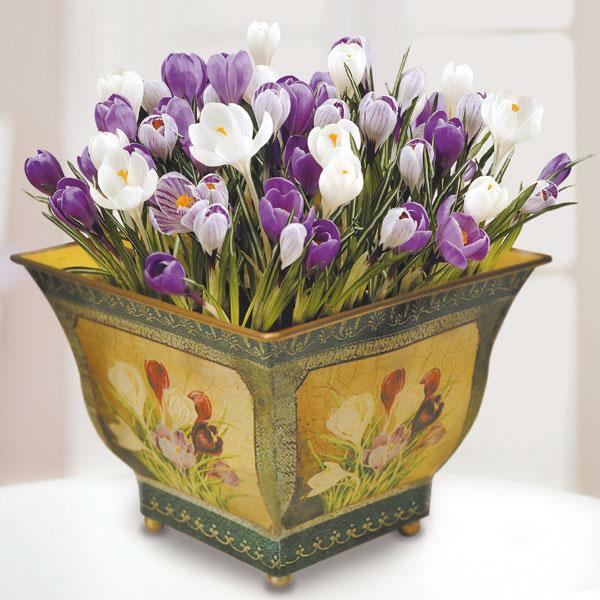 Crocuses are small beautiful flowers that create colorful displays bringing bright spring colors into garden design and interior decorating. 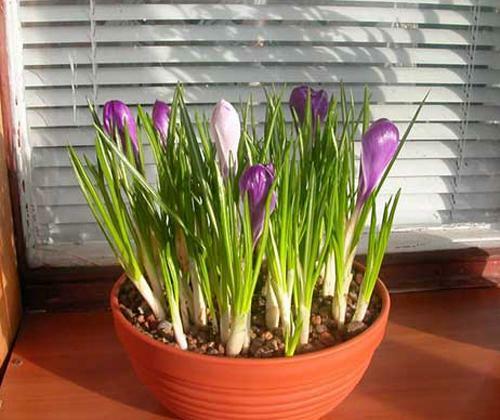 Crocuses look great in planters, on green lawns and flower beds. These beautiful flowers make fabulous gifts also. Lushome shares a collection of colorful ideas for yard landscaping and interior decorating with these spring flowers and their fall blooming varieties. 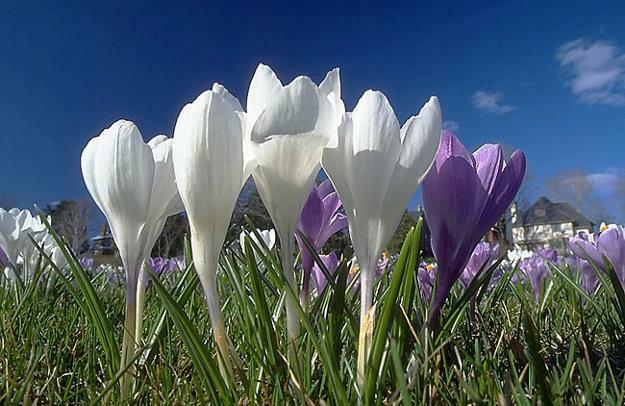 Colorful crocuses in blue, white, yellow, pink and purple colors look gorgeous on green lawns under the spring sun and cloudless skies, enhancing spring decorating spirit and bringing great inspirations for interior decorating and garden design. 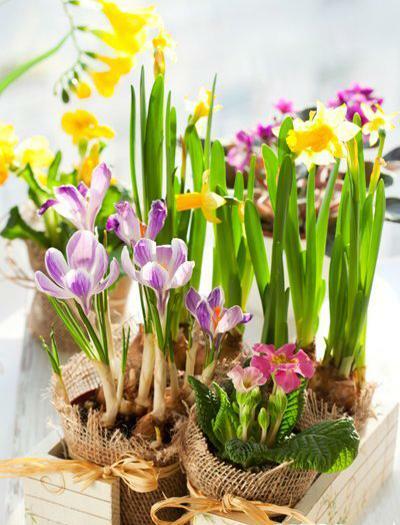 After a long, dark, cold winter these beautiful flowers add warmth and cheer to home interiors and yard landscaping ideas. 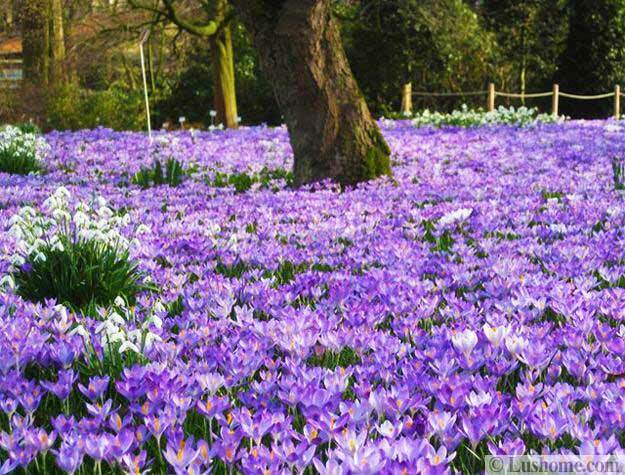 Backyards and gardens with a splash of a colorful carpet of crocuses look festive, energizing and optimistic. These beautiful flowers in white, blue, yellow, pink and purple colors make any day special and bright. They create fabulous displays in planters and add gorgeous colors to green lawns and gardens. These flowering plants are excellent for interior decorating and yard landscaping. 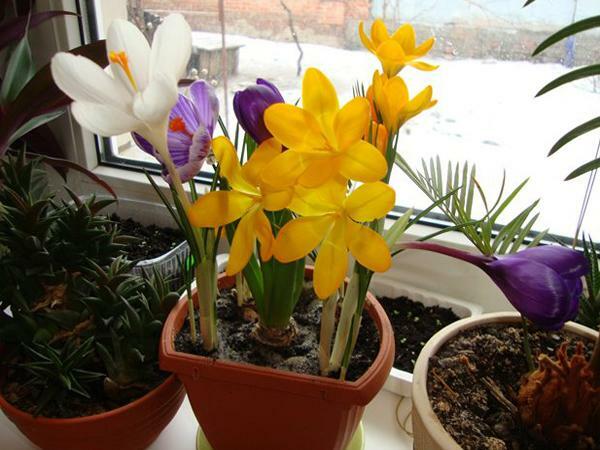 Crocus flowers can be forced indoors for blooms in spring, fall or winter. Choose a pot that has large drainage holes and fill the bottom with gravel. Add good clean potting mix. 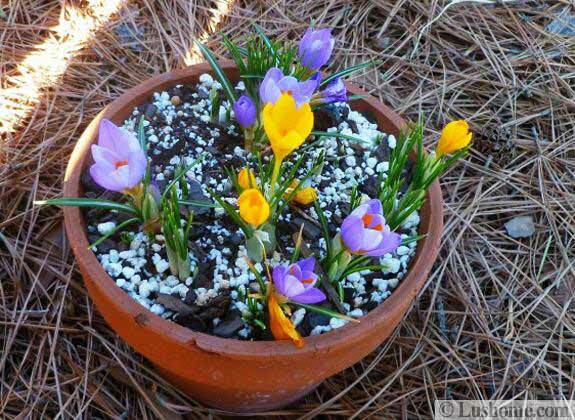 Place the crocuses corms in the pot one inch apart pushing them down into the soil.Water the pots well and then let the water drain out. 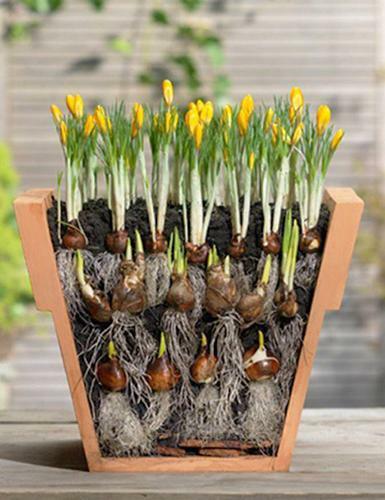 Place your pots with planted crocuses in a cool dark place for six weeks, till roots start growing out of the drain holes. 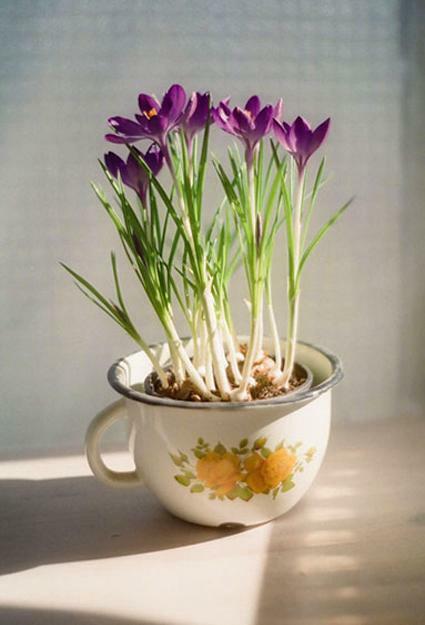 Then move them into a sunny room and in about three weeks you should be enjoying your crocus flowers. 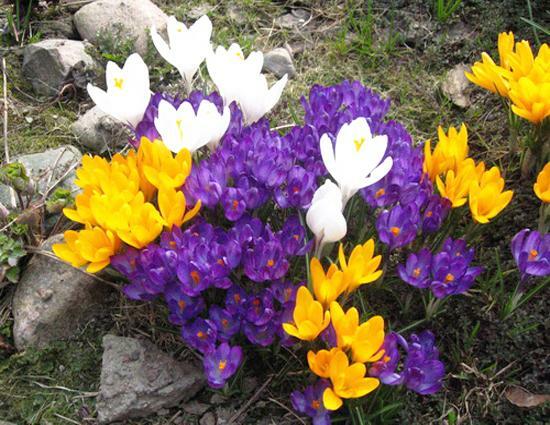 Growing on green lawns colorful crocuses raise the spirits showing off bright colorful blooms that paint garden design and yard landscaping with white, blue, yellow, pink and purple color dots. 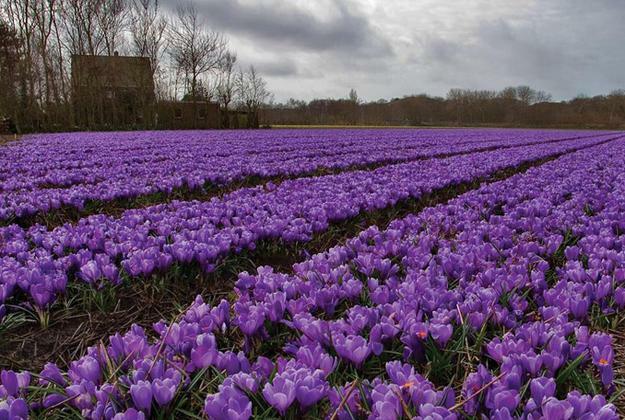 Originated in the Mediterranean area where it was first harvested, these beautiful flowers are popular flowering plants that push their way up through a sprinkling of snow in spring. Cultivation of these flowering plants is no trouble at all. 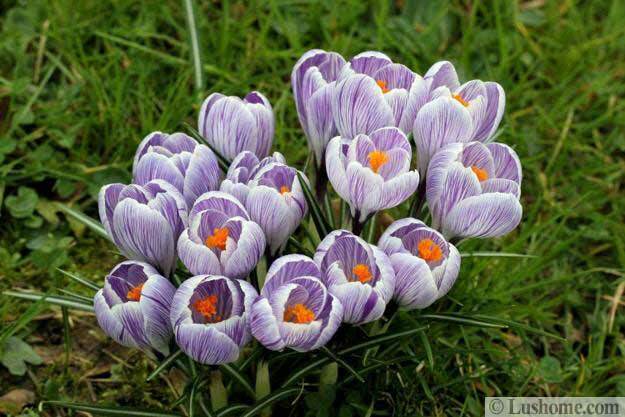 Crocuses are hardy plants and grow themselves to develop large colonies of beautiful flowers. 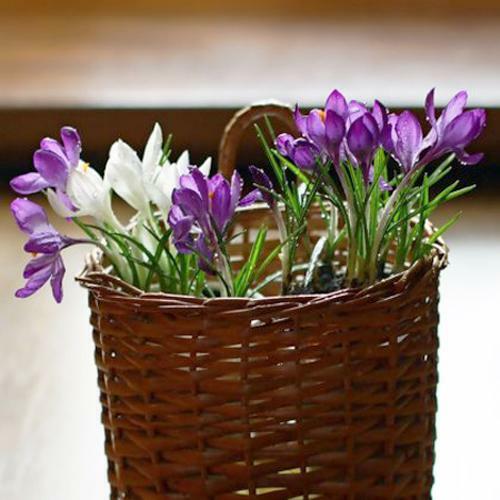 So if you want to add a brilliant and uplifting display to your garden design for spring, or fall and late winter, plant crocus flowers, you will not be sorry. 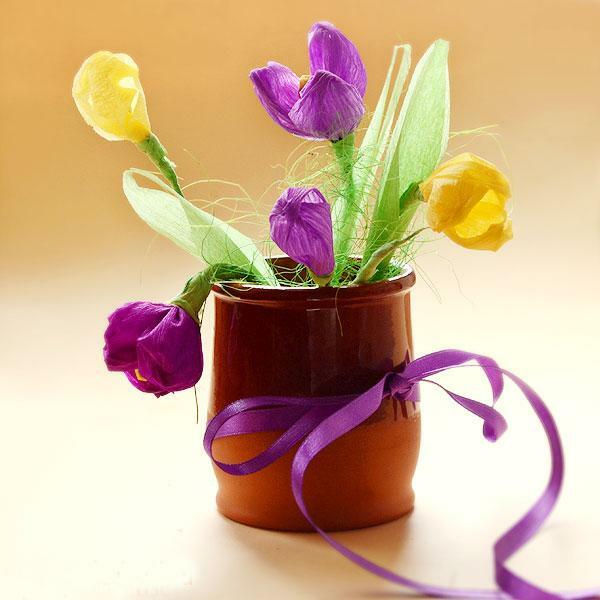 Artificial flowers are wonderful crafts that offer a great alternative for urban homes and busy people. 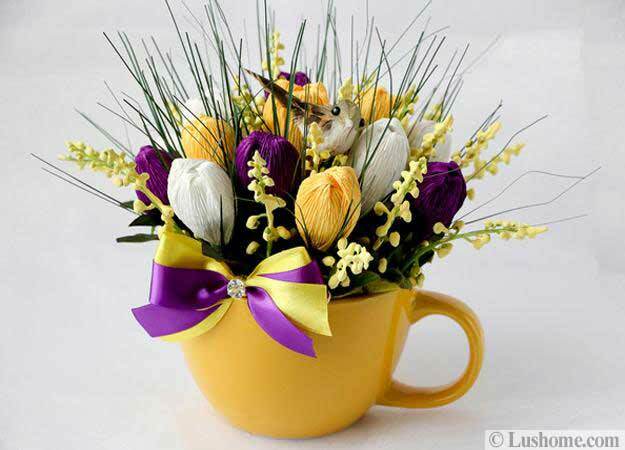 Artificial flowers are charming and bright, and can beautifully enhance the spring spirit of your interior decorating while coloring your rooms and connecting you home interiors with the nature.